Pyro, one of Japan's leading young stallions, sired his first Group winner when his four-year-old son Shigeru Kaga landed the JPN-G3 Hokkaido Sprint Cup at Mombetsu. Run over their six furlong dirt course, Shigeru Kaga has now won six of his 18 career starts. Bred by Shigeru Morinaka, Shigeru Kaga is a daughter of the winning Shanghai mare Allegrezza. Pyro, the winner of G1 Forego Stakes who was also placed in the G1 Breeders’ Cup Juvenile, has now sired 66 individual winners from his first two crops. 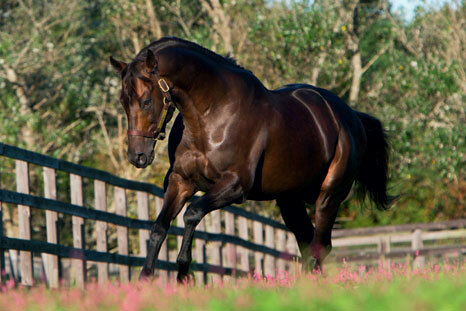 He is one of the foremost young stallions in Japan with his Dirt runners producing an excellent A.E.I. of 1.91 in 2015. He is standing the current season at a fee of 1.5 million yen.